Messy Messy Fail - As I complained about in this earlier post, the glasses that get placed in the corners of the top rack in the dishwasher continue to have minuscule specks of something all over them when the cycle is finished. Upon inspection of the sprayer on top of and underneath the top rack, I found dried out grossness that I had to pry out with a steak knife stuck in several of the sprayer holes. I think I got it all out and I just ran the dishwasher empty with a glass of vinegar. We'll see. 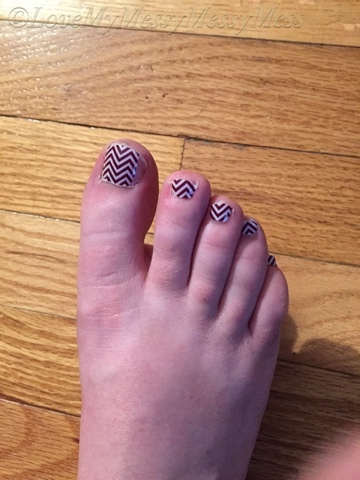 Tidy Victory - So I finally got around to putting some Jams on my toes for the first time. I won't lie - I was slightly nervous about how this was going to turn out. After all, my toes are much further from my face than my hands. I think they turned out pretty cute! I was able to use quite a few scrap pieces remaining from previous uses for my toes, I just used a small pair of scissors to shape them as needed. 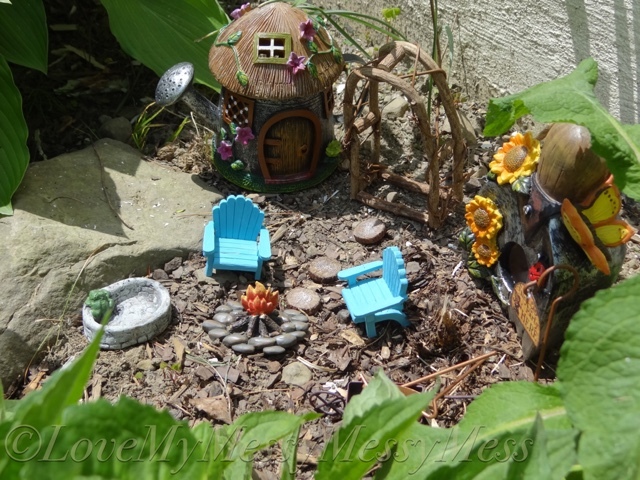 I have always, always, ALWAYS wanted to put a fairy garden somewhere in my own garden. All those cute little accessories that you can buy are beyond charming. I had a little spot in a side garden that I thought would be prefect - it's surrounded by tall tiger lilies, irises and fox glove. 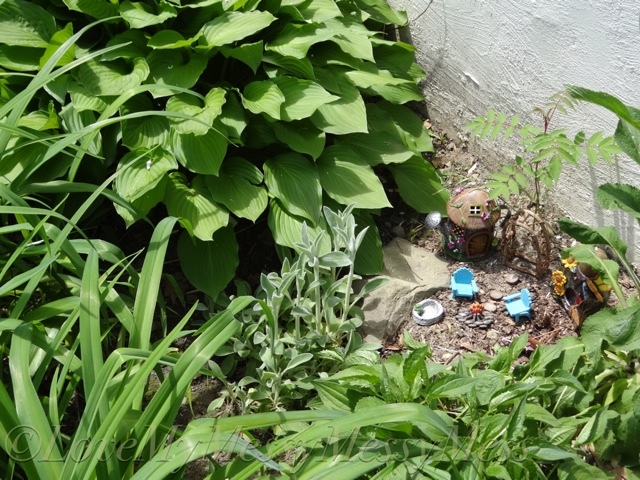 In the midst of all these tall flowers, I kept a small patch of bare dirt should I ever be afforded the opportunity to make my fairy garden dreams come true. Low and behold, I was browsing at Joann's this past March when I saw an entire display of adorable fairy garden accessories at 50%!!! Good thing my husband wasn't with me - there would have been a fairy garden brawl in the middle of the store. I strategically hid them in the basement amongst my not-so-used kitchen gadgets on the shelf where I knew HE would never find them. 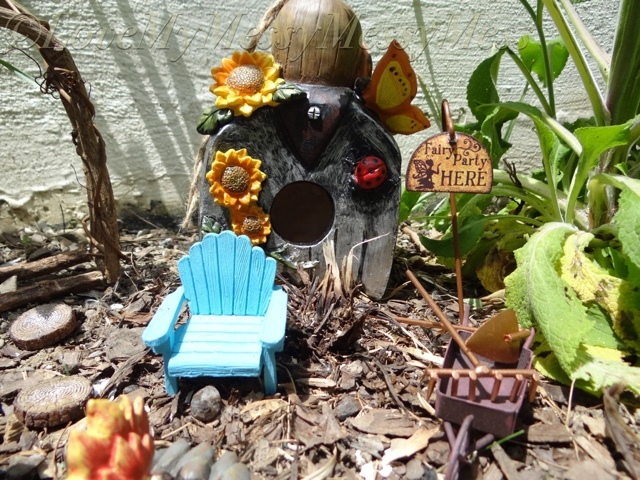 Fast forward to May, the garden is thriving and it's time to get our fairy garden going. 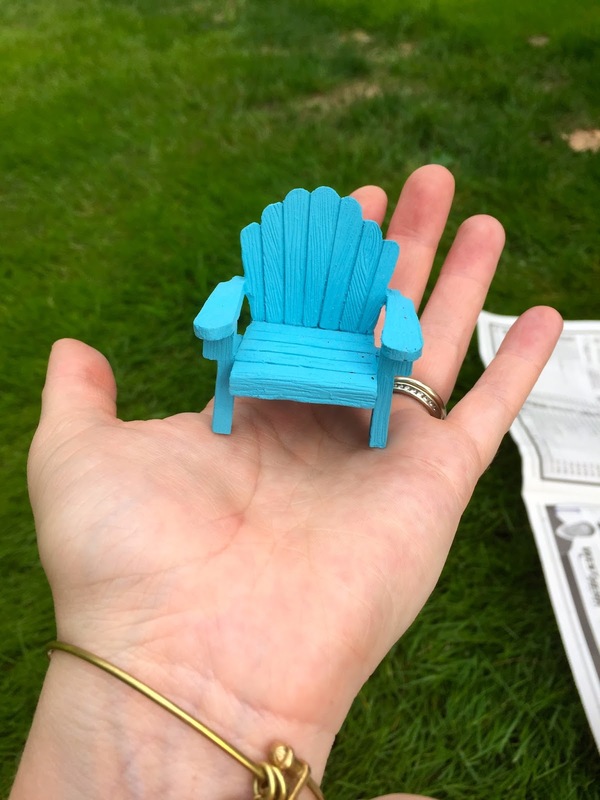 Since my items were going to be in the weather without cover (many people have their fairy gardens in a pot or container under cover), I made sure to apply several coats of indoor/outdoor shellac on all of the items. Or course they won't last forever, but the coating will certainly help. 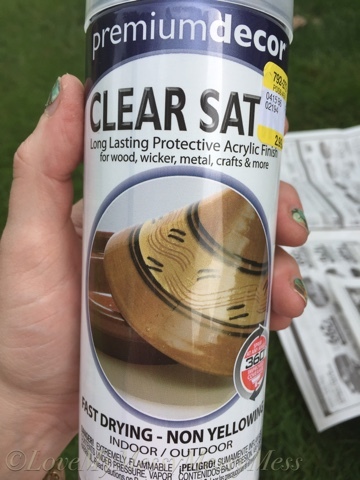 Next I made sure my chosen space for the items was free of weeds and paint (my husband has been sanding and repainting the window casings all around the house). 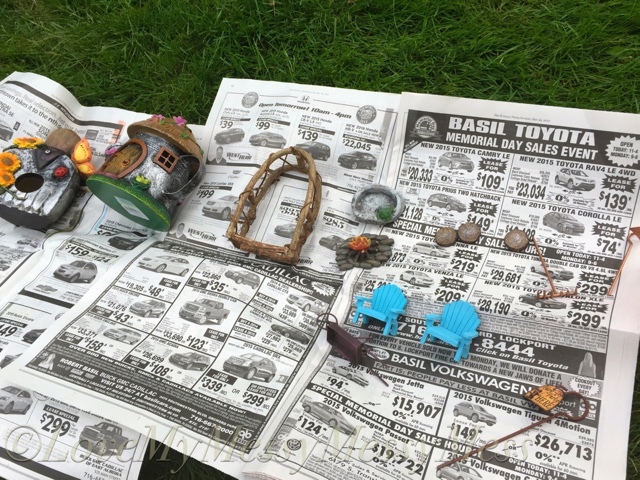 Finally, after everything was coated and dried, I arranged my items for the fairies. I really wanted the toddler to help me, but I was rejected. He'd rather pick up sticks in his red wagon around the yard. Oh well. 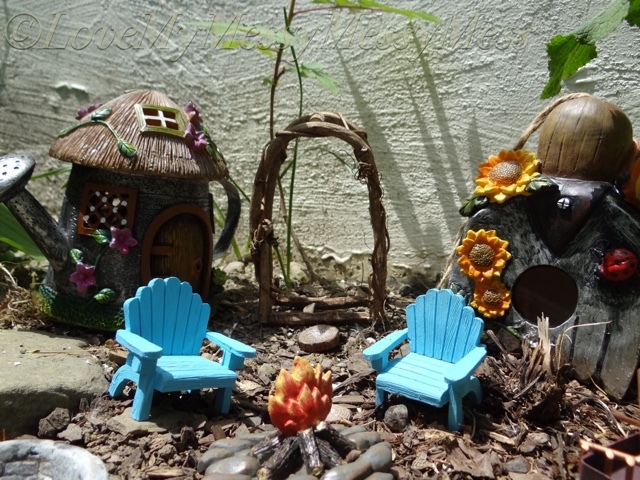 As you can see I kind of went for a fairy gardening/camping theme. 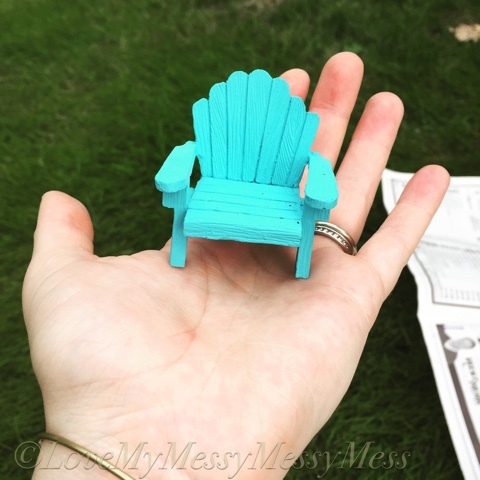 I'm a big fan of Irish moss, so I'll be looking for fairy-sized greenery like that to add for the enjoyment of my fairy guests. 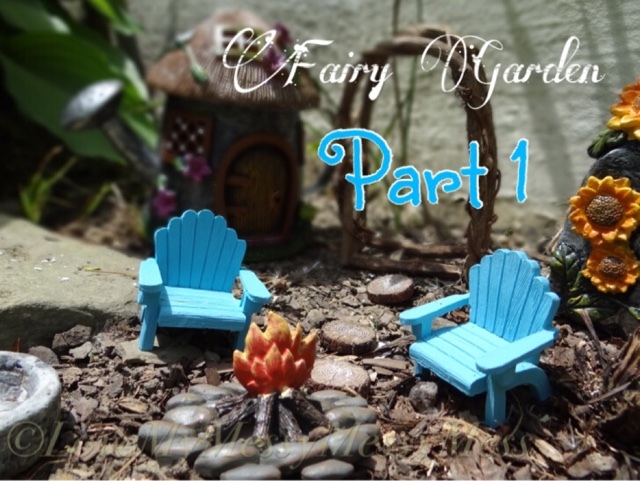 Normally this is a GREAT activity for kids - they can help set up the fairy accessories and get their hands dirty with some gardening. 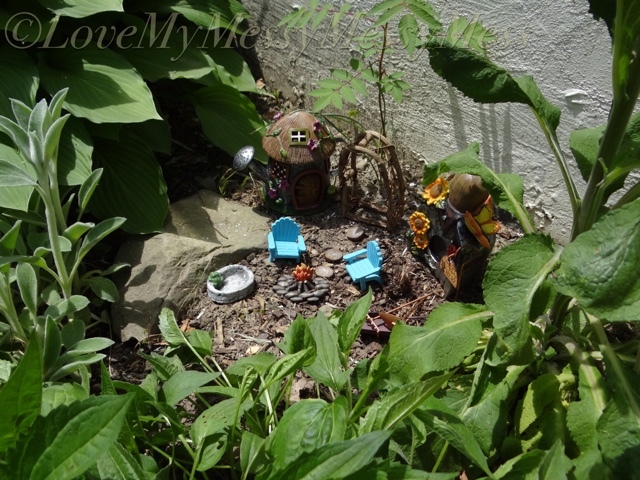 The toddler DOES love running over to take a look to see if we have any fairy visitors when we are outside playing. I tell him he has to be quick to see them! 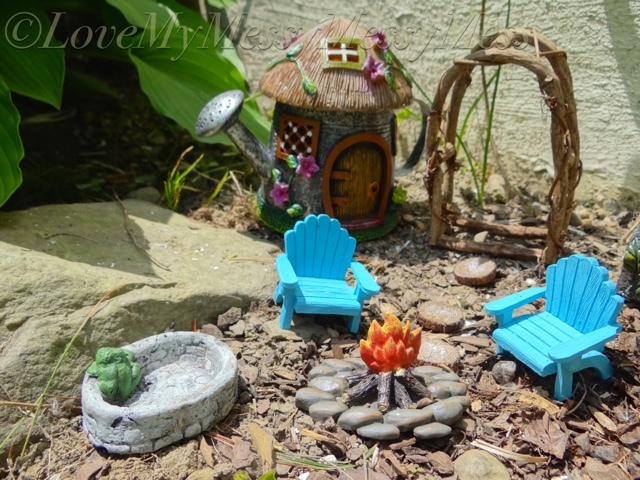 What do you think about fairy gardens? 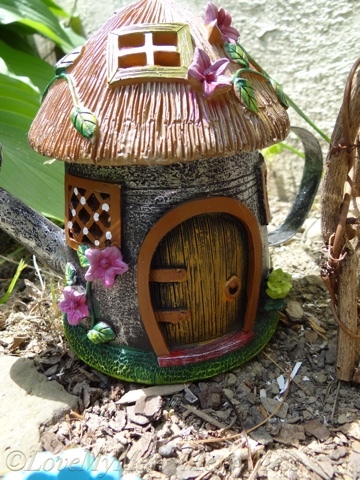 Do you have one in your garden? Messy Messy Fail - Not sure what's worse, washing crib sheets/mattress protector/pajamas that are soaked through with pee pee every night from the baby or ditching an entire box of size 3 diapers and purchasing a new box of size 4 to see if that does the trick? The poundage is correct for the size 3 but we just cannot seem to stay dry through the night. And I'm cheap. So it looks like the pee pee laundry will continue to pile up. 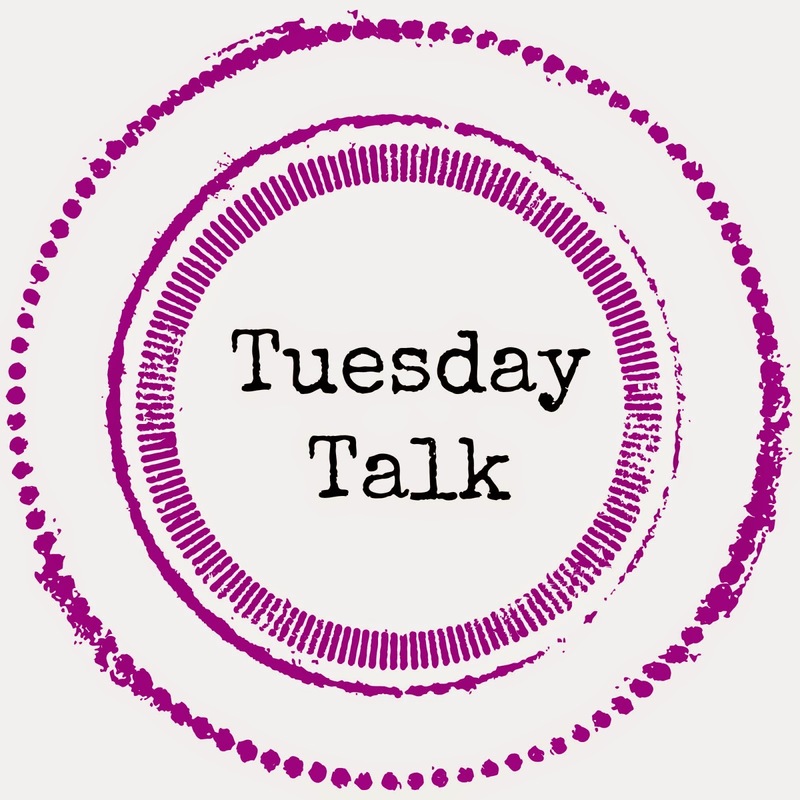 Tidy Victory - I designated a box in our bedroom a while back as the donation box, and every time I walk into our closet I try to pick something out I haven't worn in a decade and toss it. I've accumulated quite the nice pile! My husband is quite pleased. <One> Accent Jam - I think I had my previous Jams on for nearly 3 weeks and they were quite grown out. I have a concert this coming Thursday, so I need to have a little something that's toned down and modest. 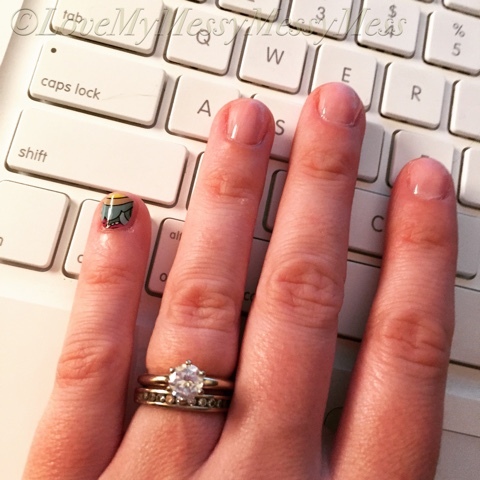 Look at this cute little pinky accent! <Two> Fresh Eggs - Nana Patti thinks they are rather gross (must be the dark yellow color of the yolk) but I LOVE fresh eggs. They typically run around $3.00 a carton around here - I purchase them from the local farm stands or my husband's band students who have free range chickens, but I'm telling you people IT'S WORTH IT! Try them out and you'll be a believer. I especially love it when they have green or blue shells (I'll take a picture when I get some, these beauts were just speckled brown). 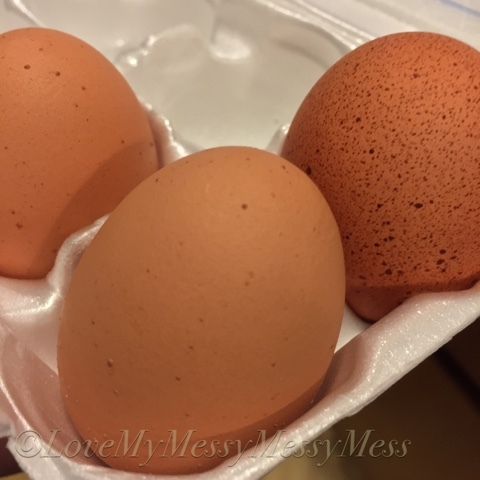 They are most delicious either hard boiled or sunny side up - so creamy and delightful! <Three> Breakfast Treats - At the middle school where I work, the teachers take turns signing up to bring treats for Friday morning. It really helps to keep us connected as humans amidst all of the work on a busy Friday. This morning it was the music department's turn for treats, so our menu consisted of: breakfast pizza, donuts, slow cooker cheesy hash browns, hello dolly bars from this post and Amish friendship bread (banana and chocolate). Everything was a hit and there was nothing left by the end of the day! <Four> Playground Playdates - Over the summer, a bunch of friends and I chose a weekday morning to meet at a different playground every week. 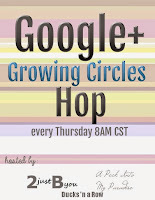 Gets us all out of the house to enjoy some beautiful weather, lets the kids socialize and lets us chat. We've found some winners and losers playground wise, but it's always fun. 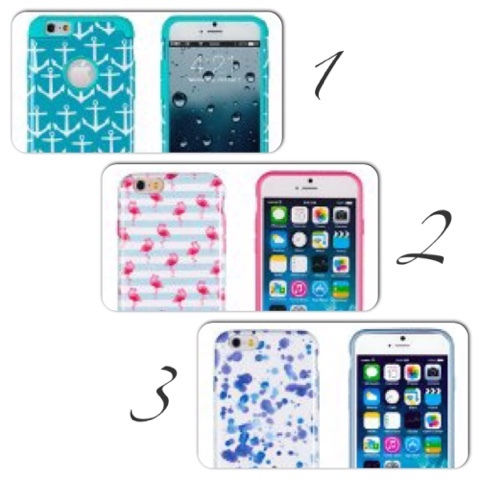 What do you think about cell phone cases - don't care or work of art? Not worth the money or fun treat for the ladies? Messy Messy Mess - I was recently enlightened about a tool that I had but didn't understand what it was supposed to be used for. The weed digger - I am embarrassed to say I always wondered exactly what this thing was that always came in my trio pack of gardening tools. While visiting my dad last weekend to see Thomas the Train with the boys, his girlfriend was pulling weeds out with this tool and I nearly choked on my iced-tea. Cue light bulb turning on! Tidy Victory - Two-thirds of the gardens were successfully weeded today with the help of my new weed digger (although not really new but new to my understanding of what it is, man.....). I truly find it therapeutic - the clean pull when the whole nasty thing comes out in one swift tug. Typically I like to keep a cold beer or glass of wine on the deck while I'm weeding for a little refreshment as well. Did I mention I really LOVE weeding? <One> More gardening - I have lots of tall things in the backs of the gardens, but now I need to fill the front with shorter things. I'm really liking phlox and fun, short grasses right now. I hope to go through the perennials I have in place right now and dig some up to give to a friend who's looking to plump up her garden. <Two> Ice Cream - I had a co-worker who did something really cool last summer - they visited a different ice cream shop every weekend over the summer and had a family vote at the end of all their visits as to which was the best. Although it is not officially summer yet, we started our ice cream tour last weekend at a small local General Store type place in a local town then tonight at a great soft serve place called Big Tree Soft Serve. <Three> Parades - This is a big weekend for parades, a great family activity and show of support for those who have and who are serving in our armed forces. My husband, a band director in a neighboring town, will be marching his students in their parade. Nana Patti comes and helps me wrangle the boys while I meet the parade at the end to help transport the larger instruments with our pickup truck. It's a short parade but means a lot to the community and the veterans, especially when the band performs at the ceremony held in the cemetery. Check your online or your local paper for parade listings in your area to show your support. <Four> Retirements - A co-worker in my department will be retiring shortly, and a few other gals and I will be throwing a celebration party for her. We are having lots of fun planning the menu, decorations and gift to celebrate her long career in music education. To dedicate so many years to one profession is an amazing and honorable accomplishment. I only hope that one day I can say I completed such a rewarding and successful career. 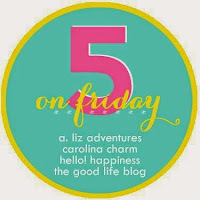 <Five> Anniversary - Every year my husband and I take a turn to plan a little something for our anniversary. On July 25th it will be our 6th anniversary and I'm putting together a short trip for us over a long weekend in August. My husband will be reading this so I can't spoil the surprise, but perhaps I'll write a blog post about it afterwards! Lots of things going on this weekend, but most important it to remember those who we have lost who dedicated their lives to our country. I cannot imagine myself serving in such a way, but I am eternally grateful to those who have. Enjoy the weekend with your families and remember those who gave their lives for us. The Toddler - "Mom mom my baby spilled sugar on the floor!!!!" Me - "Actually he's my baby, but ok, what do you mean sugar?" The Toddler - "It's on the floor mom mom he spilled it." floor. Awesome. An entire container of cornmeal." The Toddler - "Yay thank you mom mom I love to vacuum!" Messy Messy Fail - I haven't had my hair cut or colored since last October. You google "split ends" and pictures of my hair show up. Tidy Victory - I made a hair appointment with my girl Faith at Jefferson Terrace Salon & Day Spa for my upcoming Friday off on Memorial Day weekend. She swears she won't judge me. Our community has recently experienced a great loss with the passing of a young child due to cancer. For many months, our small city pulled together hosting various fundraisers to help the family in any way possible. The high school where I work chose the child's charity to receive the money they raised through their Penny Wars and ended up donating one of the largest amounts in the history of the event. Seeing what this child and her family has gone through made me really think. I can be superficial and unreasonable at times. 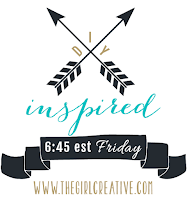 I often complain about about unimportant things: I don't have a pair of jeans to wear, the dog chewed up a roll of toilet paper, I didn't have enough time to finish a blog post. Well Katie - get over yourself and be grateful for what you have. <One> I am grateful for my happy and healthy family. These are two of the most precious things and I will never take them for granted. <Two> I am grateful for my full time job. Sure there are tough days, but those are out numbered by awesome days. There are many education students graduating from colleges and universities around the country with no job in sight. I was offered a job within a year of graduating because it was available - and I was extremely lucky. <Three> I am grateful for our house. 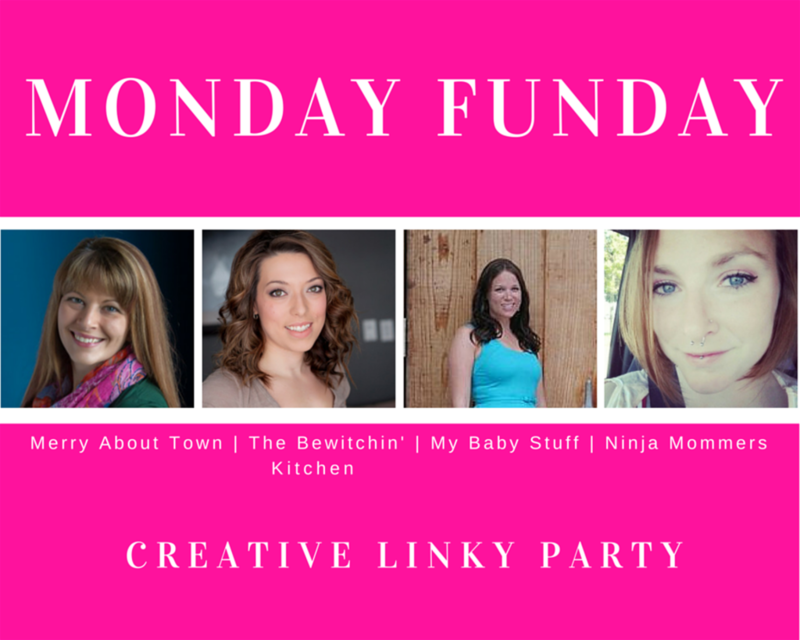 My kitchen is not huge or updated, but the appliances work and I can make healthy dinners. Our water tank is old, but we have clean, hot water at our disposal. When it's raining or snowing, I know my family is safe and warm inside our home. I've heard horror stories about the homes where some of my students live and I remind myself that not everyone has what I have. For an excellent post about this topic, check out Momastery. <Four> I am grateful for my health. Illness can strike at any moment, and until this point my most serious hospital visit has been for a kidney stone. Although painful, this problem can be controlled with small dietary changes. This isn't the case for other illnesses - life can be turned up side down in a heartbeat. <Five> I am grateful for my life. Things have come together for me so that I have a happy marriage, an excellent career and a wonderful family. I can live without the shoes, the cars, the vacations. I have everything I need right here. I am not an outwardly or overly religious person, but I strongly believe that God will not give you anything you cannot handle. That being said, the life and fight of the brave young lady and her family has not only inspired me but our community to reflect on our own lives. She smiled through it all and taught us to live every day to it's fullest and to show appreciation for all that we have. 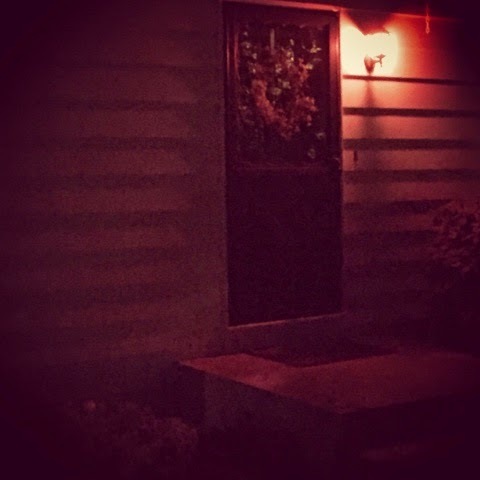 In honor of her beautiful life, we shine an orange light on our front portch to show our support for her and her family. Always remember to appreciate what you have AND to tell people that you appreciate them! Messy Messy Fail - Too much laundry. It's everywhere. Someone save me. 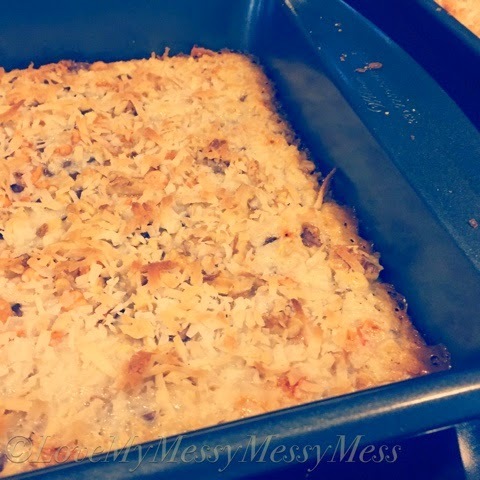 Tidy Victory - Just finished baking 4 pans of Hello Dolly Bars (recipe coming shortly) - easy and SO tasty! Our local Youth Symphony that I serve on the board of directors for had our Spring Gala Concert for which the board hosts a reception for the students and families afterwards. We each baked a sweet treat to share and this was my donation. I just love baking, even on beautiful warm spring days! 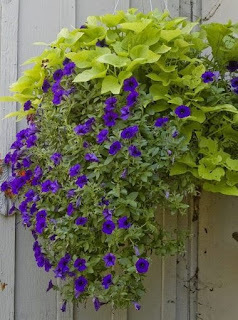 Summer will be here before we know it, and with summer comes one of my favorite types of outdoor decorations - hanging flower baskets! 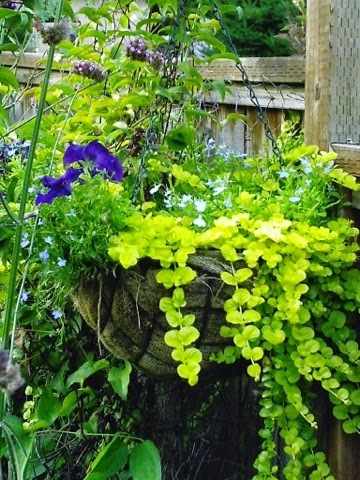 I love how a beautiful basket can brighten up our outdoor living space - we typically hang a few on our deck and two on the front of the house. A couple of years ago I started experimenting with making my own. 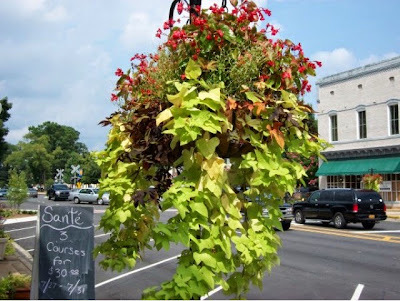 We have plenty of greenhouses in our area with your standard baskets - geraniums, million bells, begonias, etc. They are quite beautiful and colorful, however, more recently I've become more interested in the mixed baskets, and not necessarily with just flowers but greens and other plants. One thing that I had read and thought was crazy - using a diaper in the base of your planting container to help retain moisture. It's always gross dumping the baskets at the end of the season - a decomposing black saturated diaper comes rolling out - but it really does the trick from keeping the baskets from drying out. 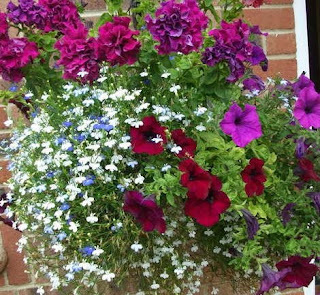 Sometimes it gets so dry and hot in the sun where my baskets are they have to be watered twice a day. But a diaper in the base certainly did the trick. I am also a believer in plant food now - once a week the baskets get a dose of MiracleGro Bloom Booster. Keeps them blooming all summer long. 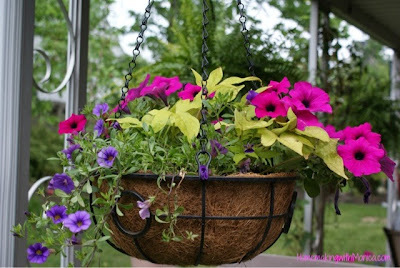 As I have been planning my baskets for this year - which my husband has finally agreed to letting me plant the baskets on the deck by myself - I've been searching the internet for some inspiration. I want to have baskets with trailing greens this year, I think it really lends to a more romantic/shabby chic look (if that makes sense!). 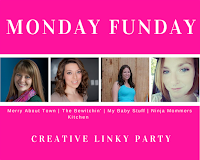 Take note of the common denominator - fun color combinations with the trailing greens. 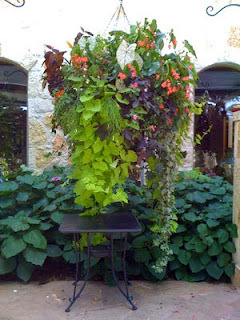 I loves me some potato vines - so many fun colors and leaf shapes to choose from. I hope you are inspired to start your planting planning! What are your ideas for this summer?